Fun classic style is the star of the show in the SKECHER Street Sidestreet - Comet Kicker shoe. 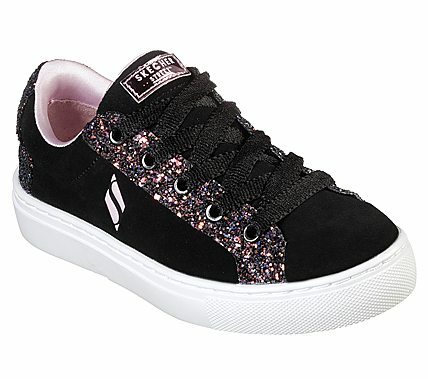 Soft suede and sparkling glitter finish synthetic upper in a lace up classic sporty tennis-style sneaker with stitching and overlay accents. Star detail on heel panel, Air Cooled Memory Foam comfort insole.